1 – Oct. 29 is the deadline for comments on agricultural management practices in Michigan. The Michigan Department of Agriculture and Rural Development is taking input on the state’s 2019 Generally Accepted Agricultural and Management Practices. Public comment will be accepted on proposed changes to: Manure Management and Utilization; Care of Farm Animals; Site Selection and Odor Control for New and Expanding Livestock Facilities; and Irrigation Water Use. The practices are reviewed and approved by the Michigan Commission of Agriculture and Rural Development each year. For more information, see michigan.gov/righttofarm. 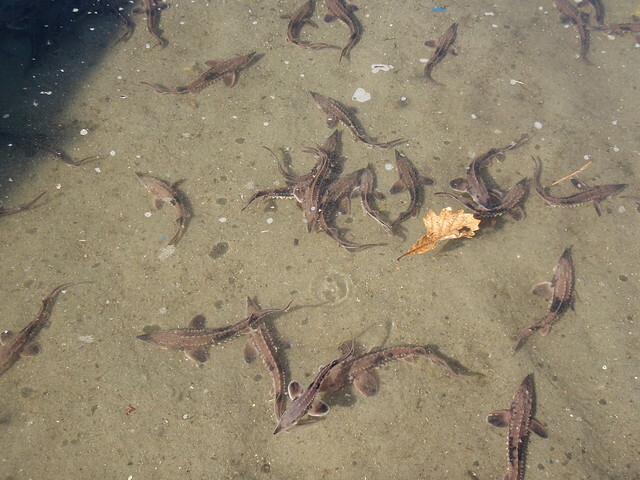 2 – More than 12,000 lake sturgeon are swimming in Michigan waters. The fish were released this spring and summer as part of an effort to rehabilitate the species. The total is twice the number stocked in 2017. Locations of stocking included Midland County, where 479 fish were released in the Tittabawassee River in August and September; and Saginaw County, where 475 fish were released in the Cass River and another 472 were released in the Shiawassee River, according to state officials. The lake sturgeon is on Michigan’s Threatened Species list. For the rehab effort, eggs and larvae were collected from the wild and reared in streamside facilities. To allow for future evaluations, most fish were tagged before being released. 3 – The Coastal Management Program in the Michigan Office of the Great Lakes has awarded more than $840,000 in grants. The money is going to 15 local projects and statewide initiatives. Projects include research on coastal ecosystems and best management practices, assisting communities with planning to address challenges, and providing resources to connect communities to their waters. Heart of the Lakes, a Bay City conservation organization, received funding to help build a network of stakeholders that support the coastal outdoor recreation industry in Michigan, support the growth of eco-tourism businesses, and foster conservation.